The most immersive piece of entertainment Netflix has ever created is finally here (no, it's not the sequel to To All the Boys I've Loved Before, although that is officially happening). Bandersnatch, the newest offering from the terrifying Stygian depths of the techno-dystopian Black Mirror series, imagines a new way of interacting with your favorite content: actually interacting with it. The episode is modeled after classic choose-your-own adventure stories, where the reader pages through the book and sends its characters on different journeys based on which decisions you make to drive the story forward. If you loved R.L. Stine's Give Yourself Goosebumps books as a kid, this one's for you. Here's how it all works. 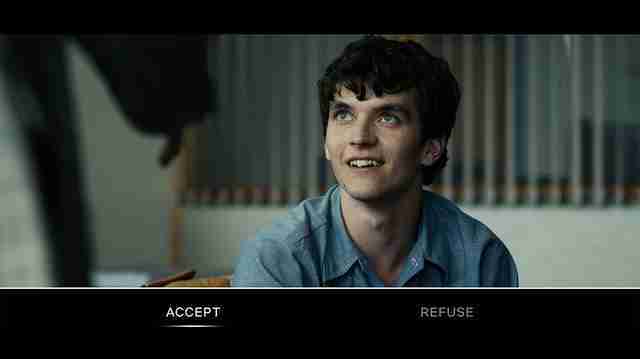 In Black Mirror: Bandersnatch, which Netflix describes as as interactive film, the passive viewer becomes the driving force of the action, picking choices when prompted to move the story along. 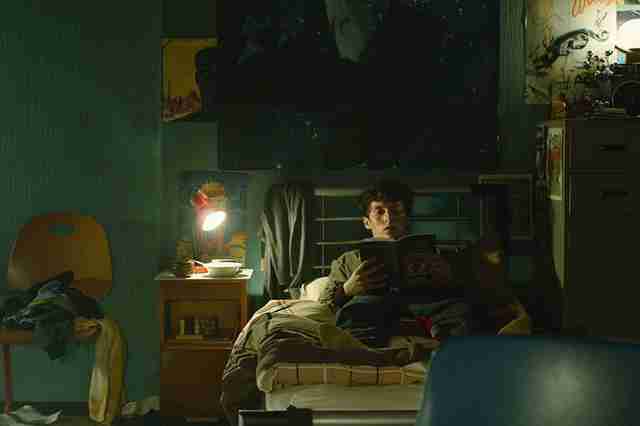 Stefan Butler (Fionn Whitehead), an aspiring video game designer living in the prime of the '80s, has been working on an interactive game modeled after one of his favorite books, the fictional Bandersnatch by the equally fictional Jerome F. Davies. He takes his idea to the nerds at tech company Tuckersoft, hoping to turn it into a full-fledged computer game. Back at home, Stefan's father seems… a little bit weird. And his therapist seems even weirder. That's about as far into it as we can go without spoiling too much of what happens. The Bandersnatch is real -- well, real-ish. It's a monster from the nonsense word poem "Jabberwocky" by Lewis Carroll -- the same guy who wrote Alice in Wonderland and Through the Looking Glass. Keep this in mind. There was a real video game called Bandersnatch that was designed by Imagine Software in 1984, but it never saw the outside of the warehouse. The company shuttered just a year and a half later. How do I find it on the site? Bandersnatch isn't listed as one of Black Mirror's episodes under the Black Mirror tab, so don't expect to find it there. If it doesn't immediately appear on the front page after you log in, or under "Trending Now," just typing "black mirror" or "bandersnatch" into the search bar will bring it up. When it opens, you're given a short little tutorial that basically explains how to "play" the episode: Every few minutes or so, our hero Stefan is presented with a choice, be it as mundane as choosing what cereal to eat for breakfast or as crazy as -- well, again, I don't want to spoil anything. Each of the choices will pop up at the bottom of the screen, and you have 10 seconds to choose which one you want. Do not underestimate the importance of your choices. Even the simplest decision can catastrophically change the course of Stefan's life. Or end it. What happens if I don't choose? The episode chooses for you. Bandersnatch has a default path with a runtime of about 90 minutes, so if you'd rather just watch TV, then you can always feel free to sit on your hands for an hour and a half. Can't promise the experience will be very pleasant, though. This is Black Mirror, after all. If you do choose to play the game, it can be as long as you want. According to Netflix, there are over a trillion possible permutations based on what choices you make, and each of its five possible endings also may have subtle differences based on what's come before. Keeping a pen and paper handy might be a good idea. Is this Netflix's first interactive episode? Nope! The site has experimented with this kind of thing before with their titles Puss in Book: Trapped in an Epic Tale​,​ Buddy Thunderstruck: The Maybe Pile​, ​Stretch Armstrong; The Breakout​, and ​Minecraft: Story Mode. Though if you're here for news about Bandersnatch, you're probably not the target audience for their other offerings. This is Netflix's first "adult-oriented" interactive tale. Bandersnatch was directed by David Slade, who is also the director of Season 4's episode "Metalhead," the black and white one about the murderous robot dogs. ("Metalhead" is actually heavily referenced in Bandersnatch, along with, as always, many other previous Black Mirror episodes.) The whole thing took 35 days to film. Is it supported on all my personal black mirrors? 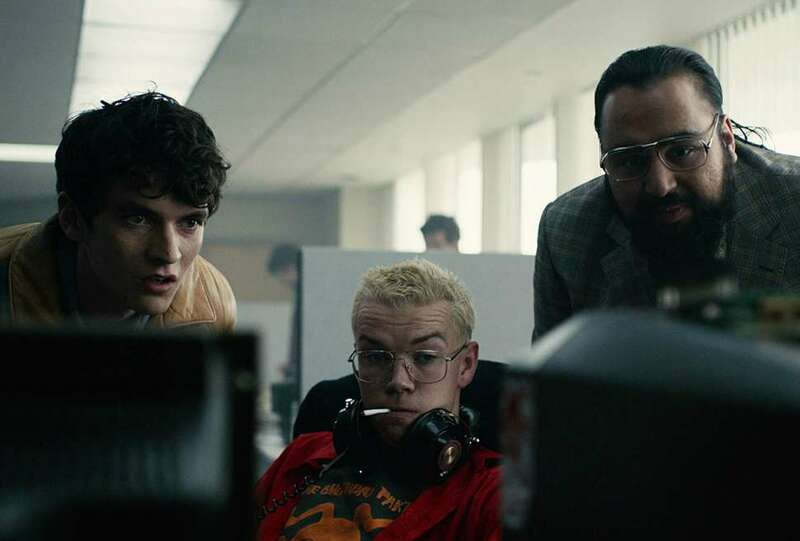 Bandersnatch is available to watch across all newer devices running the latest version of Netflix, but it's not yet supported on Chromecast or Apple TV. Just click through it on your computer, like the game dev kings of the '80s intended. I really dig this. Is there other interactive TV for grown-ups out there? There is, and given the ability of television to keep trying out new ideas, there will probably be even more in the coming years. If you're enjoying Bandersnatch, but want something a little more contemplative and mysterious, try Steven Soderbergh's Mosaic, which can be watched chronologically or through an app that allows you to choose which parts of the story to see next. In a way, Black Mirror was always going to get here eventually. In Bandersnatch, the viewer is more culpable than ever, actually causing all kinds of terrible dystopian things to happen instead of passively watching them, drooling down our chins like the slavish sheep we are. This time, though, you do have power over what happens, and might even find an ever-elusive happy ending. Remember: Don't be afraid to go back and try again. Emma Stefansky is a staff entertainment writer at Thrillist. Find her on her personal black mirror, AKA Twitter @stefabsky.